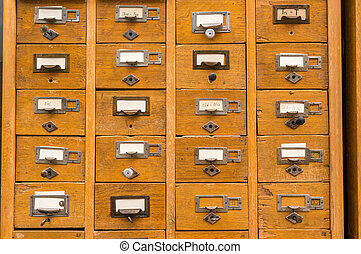 Old cards index catalog with numbers in toning. 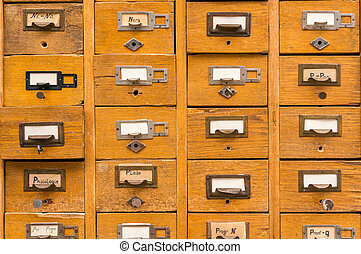 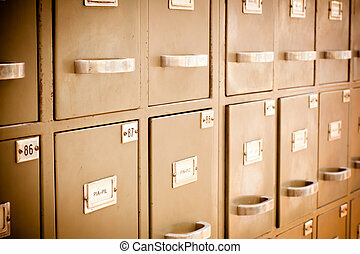 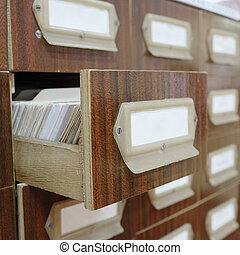 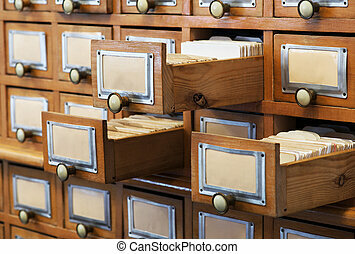 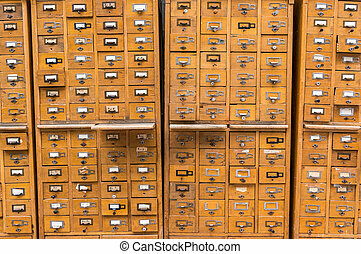 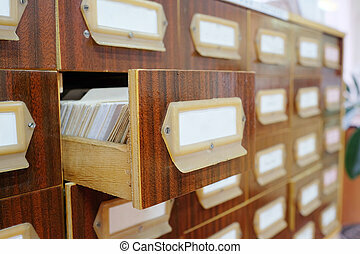 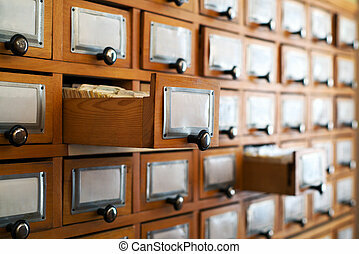 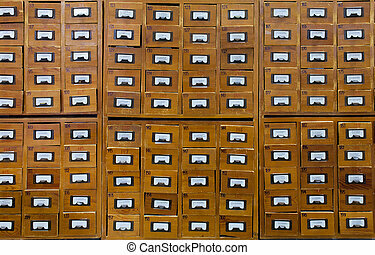 Old- fashioned index cards cabinet in a library. 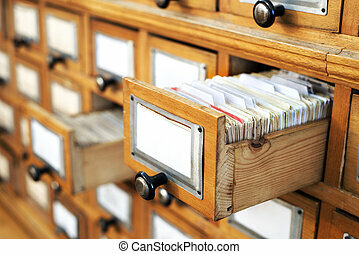 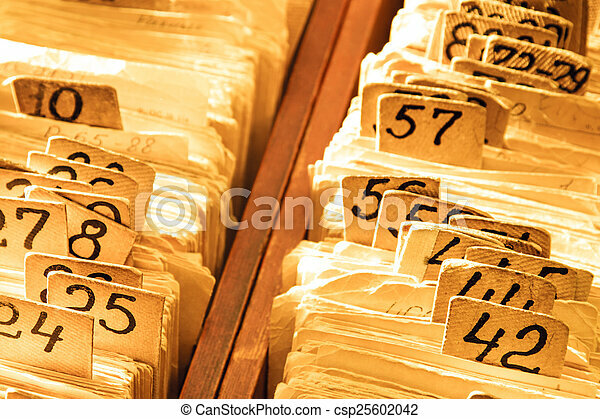 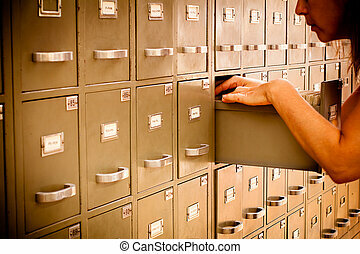 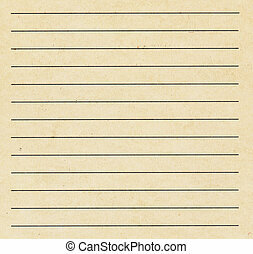 Librarian looking through old-fashioned index cards cabinet.